How would a person feel if his wife cheats him with his good friend? It would be a very bad experience indeed. Dinesh's wife cheated on him and to make things worse, divorced him and married his good friend Murali. Both these guys are cricketers for team India. With a blow in his personal life, his professional career also was in tatters. He made his cricketing debut in the early 2000s and when he was seen as the next wicketkeeper for India, Dhoni entered the cricketing scene with his thundering batting prowess and stole his position. Dinesh was sidelined for almost 14 years. When India was battling against Bangladesh in the finals of the Nidahas Trophy, all hopes were lost. Dinesh was already furious because Vijay Shankar was sent up the order by Rohit Sharma. When 34 runs were required by India in 12 balls, no one thought that we would win. But Dinesh Karthik made it possible for us. Indian parents would be like " Hey what are those 0.1 and 2? Even Sharmaji's son has scored three double hundreds. 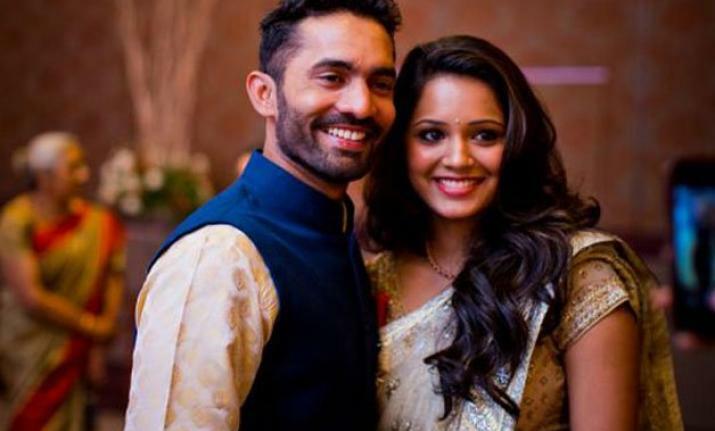 He got a second chance in his personal life and he has married the beautiful and talented Dipika Pallikal. When he got a second chance in his professional career, he grabbed it with both hands, making the entire nation to become his fans. If you are thinking why I had to write about his personal life in this blog, you should know that he would have gone through a great emotional trauma and it is not easy to come out of it. But he did. He is definitely the wicketkeeper-batsman we need. But he is not the cricketer we deserve. BTW, Do I look like Dinesh Karthik? Very nice post.... Well written. Need to work on sounding more proffesional... But you are right, DK is an inspiration for all of us.